CarGurus has 3,085 nationwide RX Hybrid listings starting at $9,999. 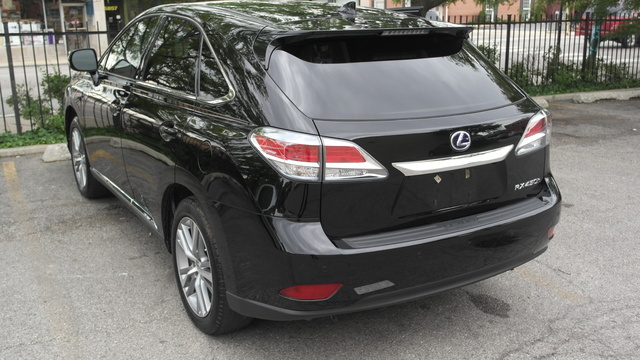 To realize that luxury can also be efficient and practical, just have a look at the 2015 Lexus RX 450h. This 5-passenger elocution of elegance packs a ton of posh onto its hybrid-powered frame, as well as several new amenities, some hefty mileage numbers and over 80 cubic feet of total cargo space. A few added tweaks for 2015, meantime, start with the inclusion of the 7-inch Audio Display with a rear-view camera as standard equipment, while improvements to the Remote Touch infotainment control are an obvious response to negative reviews concerning its previously unfriendly user dynamics. Additionally, upsized and upgraded wheels have been added to the available Premium Package, and new LED fog lights are now available with the optional LED and high-intensity-discharge (HID) headlights that debuted in 2011. Returning with a single base trim again for 2015, the RX 450h is offered in the less expensive front-wheel-drive (FWD) configuration and in weather-wrestling all-wheel drive (AWD) garb. Both sub-trims pack a 3.5-liter hybrid V6 powerplant that mates with the standard continuously variable transmission (CVT) and a pair of 116-kilowatt electric motors for 295 total horsepower. In a further concession to personal panache, this midsize crossover ute totes 4 driver-selectable modes—Normal, EV, Eco and Sport—to suit the conditions and green-leaning tendencies of a particular journey. Mileage numbers, meantime, are expected to remain 32 mpg city/28 highway in FWD editions and 30/28 in AWD versions, while towing capabilities are maxed out at 3,500 pounds with the proper equipment. Expected appearance features and creature comforts, in addition to those new accoutrements introduced for 2015, include 18-inch alloy wheels, a rear spoiler, a power liftgate, heated power-adjustable mirrors, trailer wiring, cloth upholstery, power-adjustable front seats, full power accessories and wood, alloy and leather cabin accents. Further standard plush is added with reclining rear seats, cruise control, telescoping tilt-wheel steering, dual-zone climate control and a remote garage-door opener. Meanwhile Lexus’ own Bluetooth-integrated “enform” emergency assistance and Safety Connect system returns for 2015 as standard equipment, as does a 6-CD player with 9 speakers, satellite radio and auxiliary iPod integration. Optional equipment on top of those introductory items already mentioned include a Premium package with leather upholstery a power sunroof, power-folding mirrors and memory for driver's settings, while the Comfort Package with HID headlights, heated front seats and automatic wipers also returns for this year. The newly upgraded Audio Display can now be enhanced with an available navigation package and 8-inch touchscreen display, while the Luxury Package boasts brand new 19-inch 5-spoke wheels in an attractive gray machined finish, as well as a heated steering wheel and upgraded leather upholstery. Standard safety features, finally, are slated to include 4-wheel antilock brakes (ABS), traction and stability control, front and rear head airbags, front and rear side-mounted airbags, and active front headrests. Daytime running lights, front fog/driving lights, turn-signal-integrated mirrors and a remote antitheft alarm also should return for 2015, bolstered by available high-intensity-discharge (HID) and LED headlights. A post-collision safety system, meantime, should once more be standard, complemented by optional adaptive cruise control with emergency braking and lane-departure warnings, while a glass-breakage sensor is again available as an option. 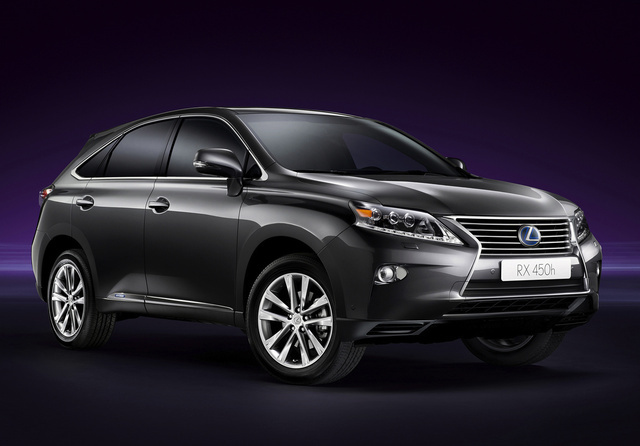 What's your take on the 2015 Lexus RX Hybrid? 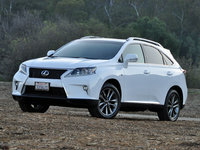 Users ranked 2015 Lexus RX Hybrid against other cars which they drove/owned. Each ranking was based on 9 categories. Here is the summary of top rankings. Have you driven a 2015 Lexus RX Hybrid? Release Date For Buying A 2015 RX450?